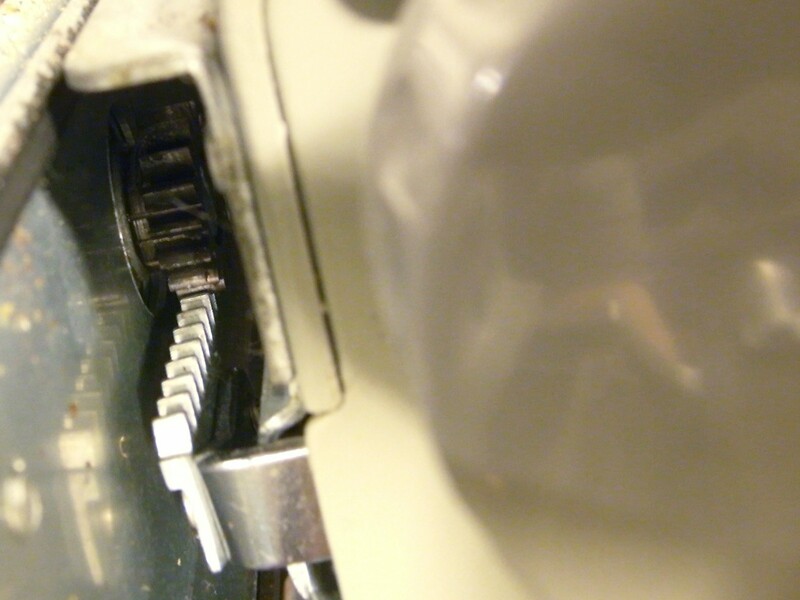 Place the typewriter on its back on a soft work surface (I use a piece of “BORRIS” or “KRISTRUP” door mat from Ikea) and you will see that there is an access hole on the base of the typewriter. Remove the spring shown with a spring hook and some needle-nose pliers. 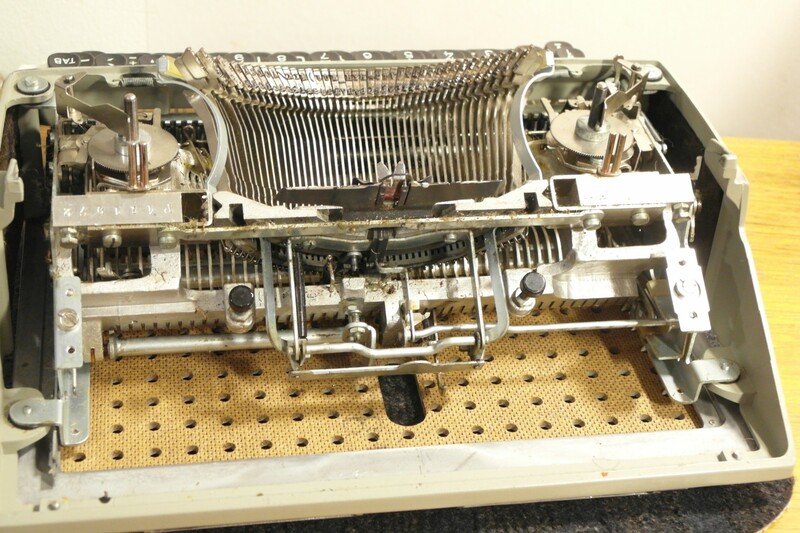 Re-position the typewriter so that it is facing you as if for typing. Remove the ribbon cover and the ribbon. Set the left and right margins to their extremes, and use the carriage-release lever to the move the carriage all the way to the left. You will see that the carriage is held in place on the right by two screws, with an adjusting cam and screw in between them. I would recommend that the adjusting cam and screw remain untouched at this time. Remove the two outer screws. 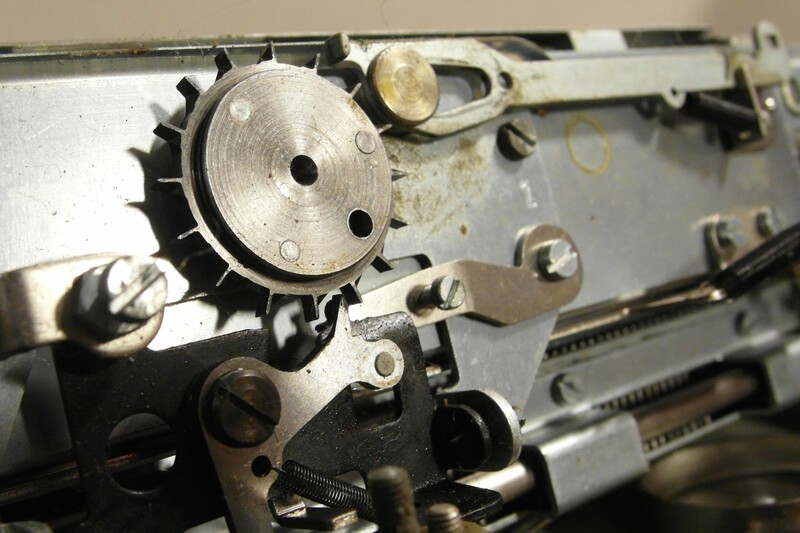 Again using the the carriage-release lever, (because the escapement is seized) move the carriage all the way to the right to expose the screws that hold the carriage on the left side. Remove the two outer screws and then carefully lift the carriage away. NOTE: There is no need to be concerned at this stage about any other springs, linkages, the mainspring, draw-string etc. It seems that the carriage was designed to be very easily removable. 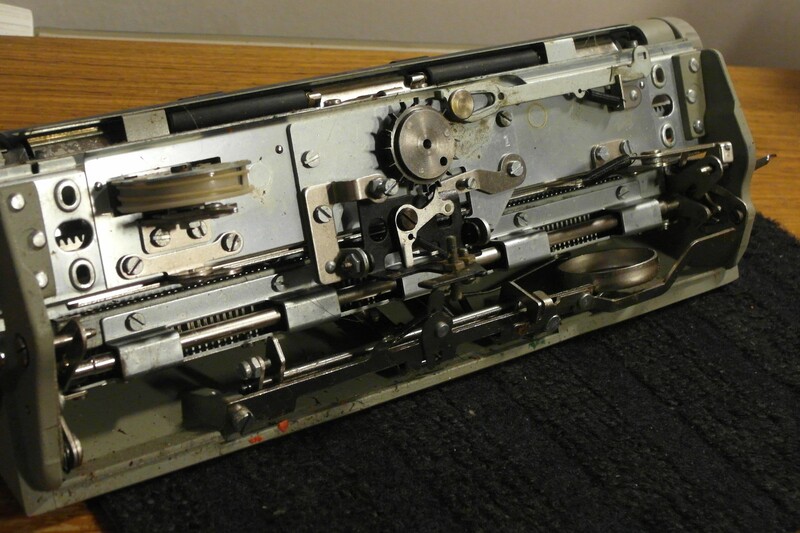 Some people may prefer to then remove the entire escapement unit for very thorough cleaning, but in my experience (with more than a dozen seized Facit typewriters) it is rarely necessary and brings risks of its own. To free the seized bearing, a solvent and/or lubricant must be introduced. I use a syringe with a blunt needle for this purpose. It allows precise location and dose, and minimises the risk of solvent/lubricant causing problems elsewhere. What is reasonably safe for humans to handle. 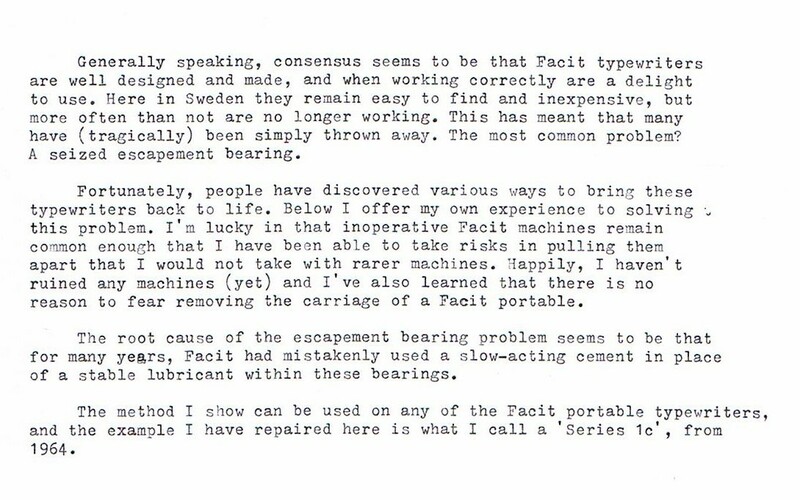 What is reasonably safe for the typewriter. The following day, you can use (GENTLY!) a pair of needle-nosed pliers to test the performance of the solvent, by GENTLY (you’ll be sad if you break an escapement tooth), attempting to rock the escapement wheel back and forth. If it is still unyielding, re-apply your penetrating solvent and wait another day. In my experience, the escapement bearing may free completely and suddenly, or it may remain quite resistant for a while. Be patient. Re-apply and wait another day if necessary. Once the escapement has freed a little, you can move the escapement pawl out of the way with a thumb while you gently experiment with increasing the range of escapement wheel movement. As it becomes adequately free, you will then be able to move the carriage from left to right while watching the escapement wheel moving. 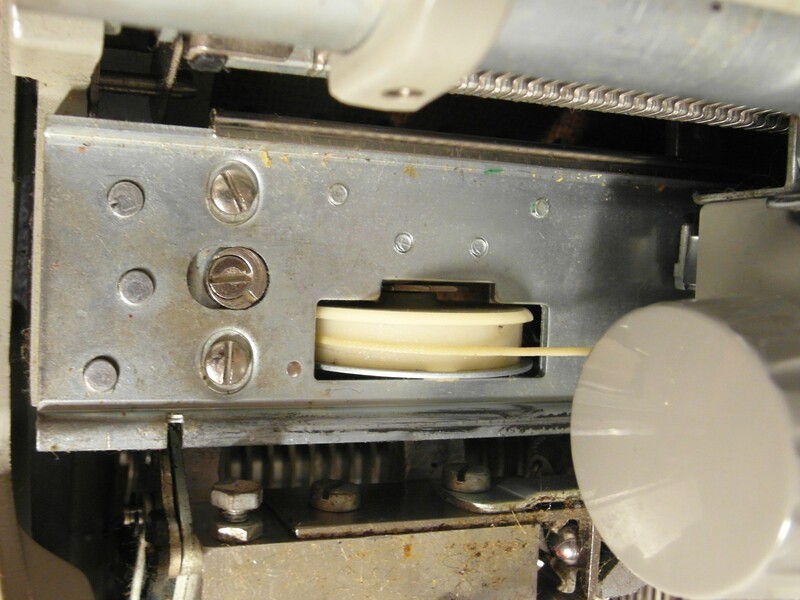 If you feel resistance and hear a grinding sound, it is the spring-loaded rack being forced off the escapement pinion. This indicates that the escapement bearing is not yet free enough and the force you are using is too high. Again, be patient. After reaching the point where the carriage is moving smoothly again, I use another solvent in an attempt to flush out – or at least to dilute – the residue left by the process above. This is because I also have some concerns about the possibility of the CRC 5-56 (perhaps like I have read about WD-40) leaving a problematic residue of its own, or in combination with the old “lubricant”. For this I use “Medicinsk Bensin” , which we can buy in the supermarket here in Sweden. It has a CAS Registry Number of 64742-49-0, and I think it may be called Naphtha in English. If you plan to use this solvent, please familiarise yourself with the Safety Information Sheet (here is an example in English) in your own native language. This solvent is also likely to damage paint; yet another reason to be very careful with it. I apply the cleaning solvent in the same manner as the CRC 5-56 (using a different, dedicated and labeled syringe), and then moving the carriage back and forth to allow the solvent to move through the bearing. I do this multiple times, cleaning the residue between cycles with a cotton swab. The difference this process makes to the smoothness in the bearing action is quite noticeable to me. I then allow a few hours and a few further cycles to allow the remainder of the solvent to evaporate. Finally, I apply a few drops of lubricant applied to the top and the bottom of the bearing (not the pinion or the escapement wheel themselves). I use TF2 Plus Dry Lubricant with PTFE, which is a product I learned about here: The Filthy Platen: Oils ‘aint oils . I apply this with a third dedicated and labeled syringe, and it seems to work very well indeed. A further advantage of removing the carriage is that it allows much better access for cleaning. 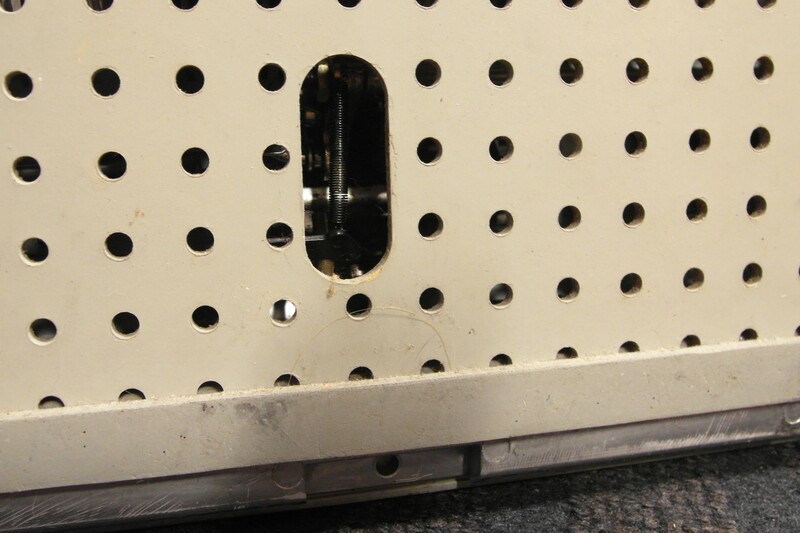 If you wish, you can also remove the perforated base-board (four screws) for greater access. When you are finished cleaning, replace the carriage and fasten with the four screws you removed earlier. Remember to re-fit the spring removed in the first step. I hope some people find this information a useful supplement to the great information that has already been published. 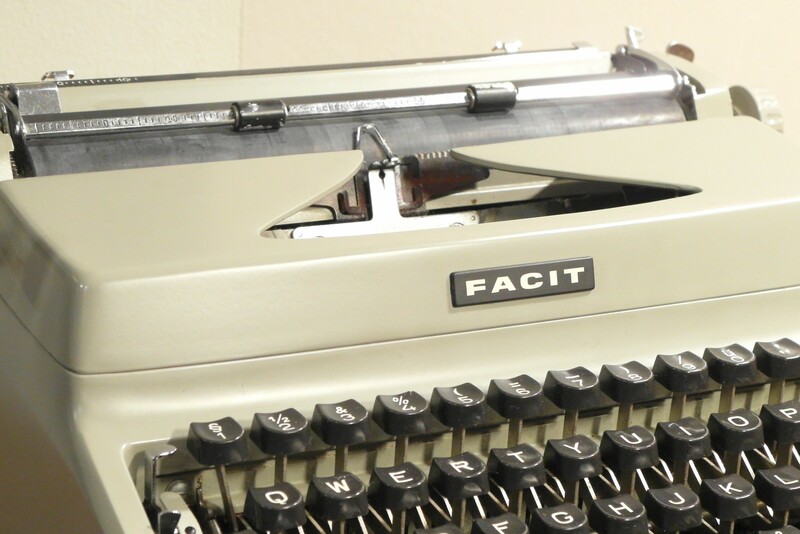 In a later post I will show how to remove and replace the platen on these Facit portables.